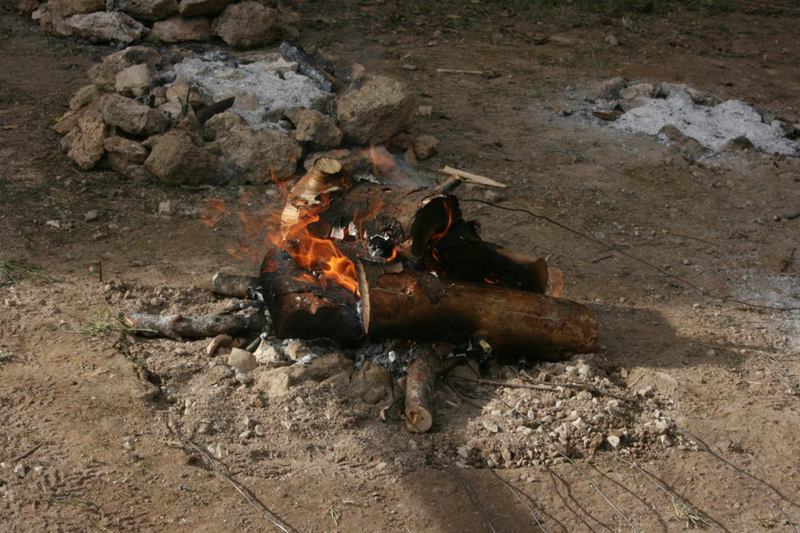 The Neanderthal Fire Technology Project, funded by the Leakey Foundation (General Grants in 2010, 2013 and 2015) was initially motivated by the outstanding presence of well-preserved Middle Palaeolithic combustion structures from El Salt, Spain. We were seeking to understand their formation as a way to approach Neanderthal behavior around fire (mainly fuel choice and use and hearth function), as well as to aid in palimpsest dissection (to separate different human occupation episodes through the identification of hearths separated by time). The research strategy comprises interdisciplinary investigations of anthropogenic fire in archaeological and experimental contexts. In 2010, we carried out an experimental “burning season”, making 24 simple fires on the soil surface adjacent to El Salt site. 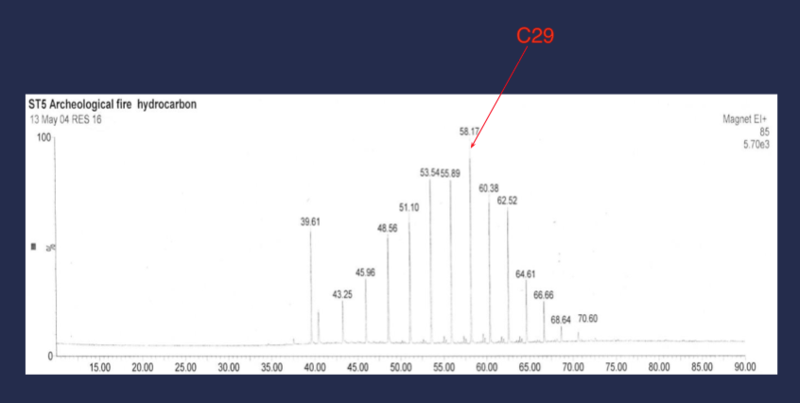 Subsequently, the combustion residues of some of the fires were sampled and analyzed using micromorphology and FTIR (data in Mallol et. al., 2013a and b). We also analyzed the spatial distribution and thermal impact of bone and lithic objqects tossed in the fire or deposited on the ground prior to making the fires (data in the same two papers). 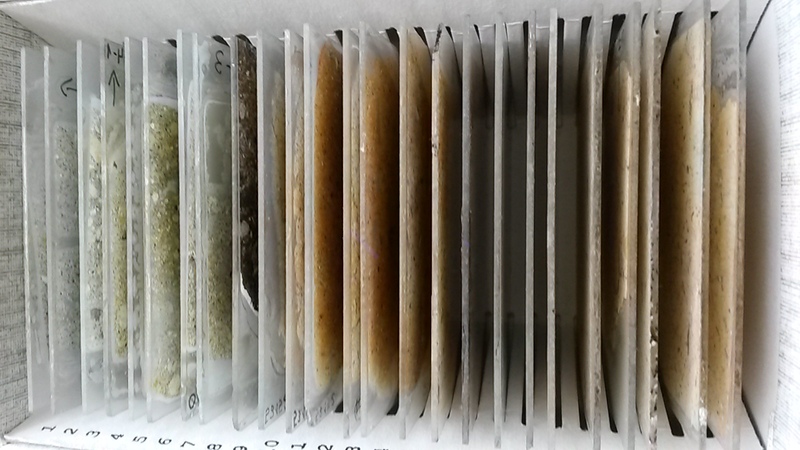 Further analyses (GC-MS and anthracology) are ongoing. Other fires were left in place for their taphonomic study and are monitored yearly. One of them is subsampled yearly. In 2013, we expanded the project to incorporate investigations of fire on different substrate types based on evidence of anthropogenic fire from the middle Palaeolithic site of Abric del Pastor (approximately 5 km from El Salt). This site could be older than 100 ka, representing some of the oldest manifestations of Neanderthal fire in the region. 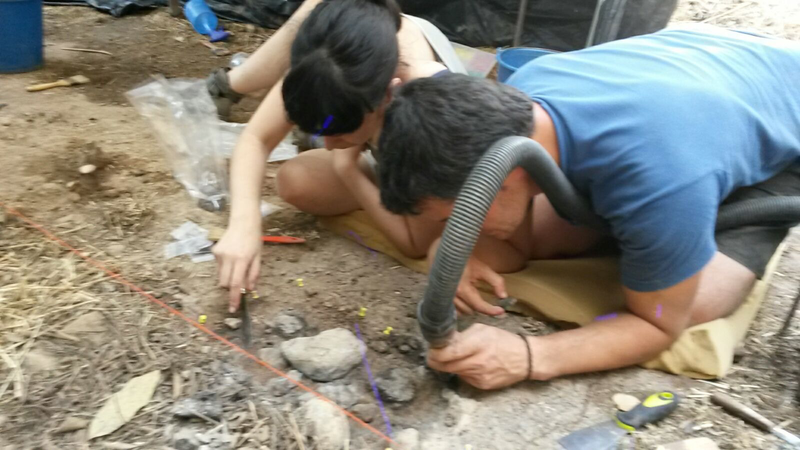 To replicate the archaeological fires from Abric del Pastor, we made several experimental fires on cobbles, monitoring heat transfer and observing the translocation of ash and charcoal. We noted a lack of patterns of thermal alteration of the cobbles through the profile and the infiltration of ash, which accumulated at the base of the cobble construction. Mineralogical and micromorphological analysis of the cobbles is pending. The 2015 project targets a study of some of the experimental fires made in 2010 (5 years old) that were left in the open air and have been affected by wind, rain, snow and bioturbation over the course of these 5 years. In the summer of 2015 we excavated and sampled the fire places are were surprised to find apparently intact combustion structures beneath a bed of bioturbated sediment. We are eager to analyze our samples to see what they might reveal! 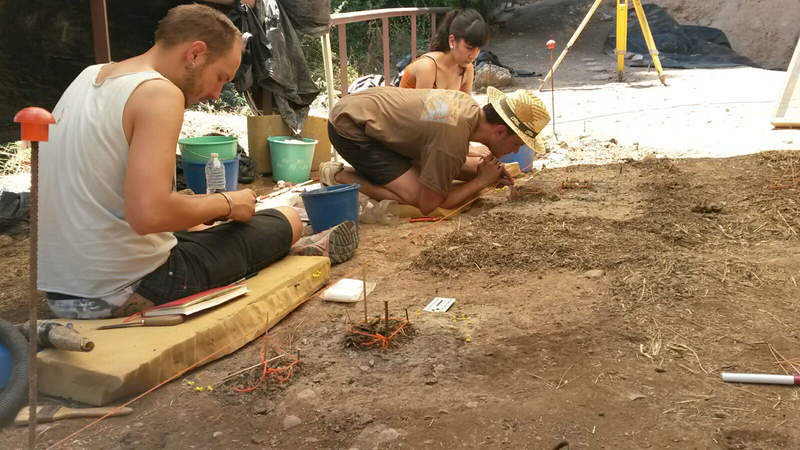 So far, our project has shown us that by understanding the formation of hearth features from an interdisciplinary perspective we can make significant contributions in different archaeological domains. Regarding the identification of human actions performed around fire, our results show that some actions such as cooking meat on coals, putting out a fire with water or sweeping and trampling fresh ash may leave an identifiable material imprint in the sedimentary record. Other actions, such as relighting, are difficult to identify. Hearth function is so far an evasive factor. In many cases, the specific use of a fire does not leave any residues behind or can only be identified by residues at a microscopic or molecular scale, which may or may not be “nailed” in our samples. We have also observed that the black layer of archaeological hearths may represent the charred ground beneath the fire. This observation has important repercussions for archaeological method. 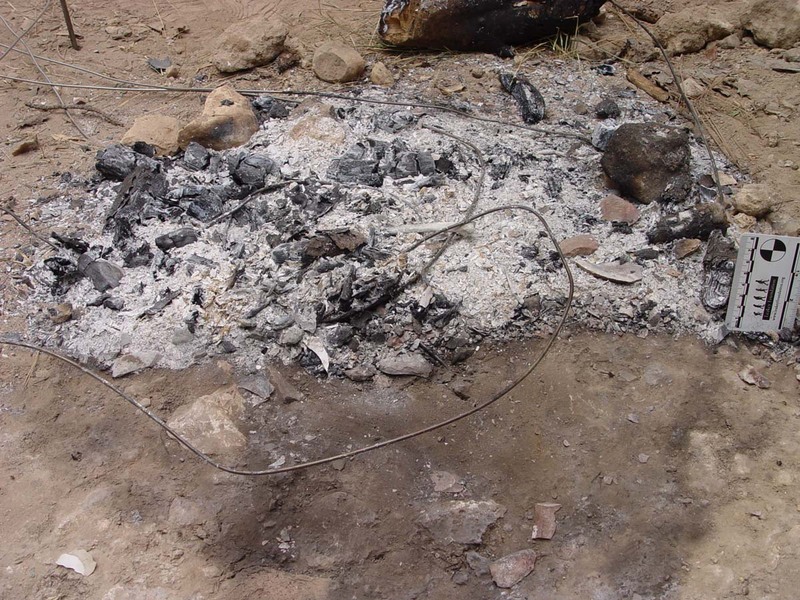 Often, the black layer of hearths are assumed to represent fuel residues (charcoal) and are excavated and analyzed as part of the combustion event, leading to very different interpretations of the archaeological material record because objects that were deposited on the living surface prior to the making of the fire are considered as objects associated with activities related to the fire. Besides this methodological point, our observations have opened up an new interesting research avenue, which we are now starting to pursue: the identification of charred organic particles from black layers of archaeological fires at microscopic and molecular scales. 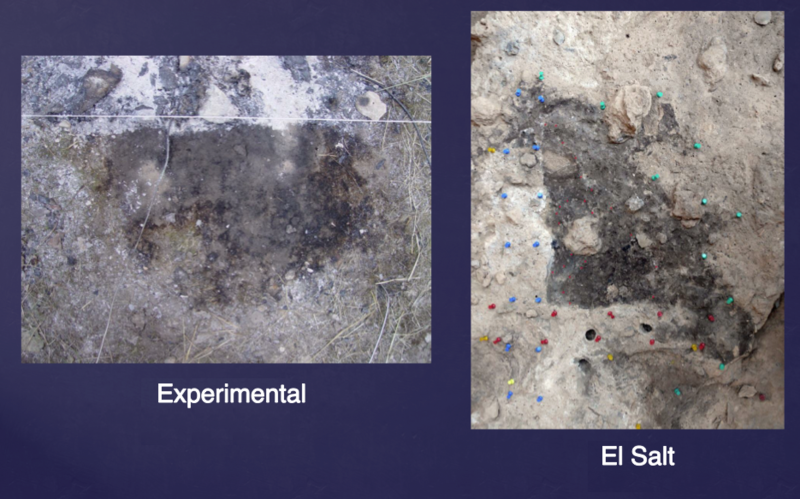 At El Salt, our preliminary results show that the ground occupied by Neanderthals was composed of bioturbated, decaying plant litter. Regarding Neanderthal behavior, there is still little we can say, as we are at the early stages of our research, going from known to unknown. For now, our black layer study has provided useful guidelines to separate occupation episodes. We have observed that the black layers of hearths at El Salt are mainly composed of decaying plant litter, which takes some time to form. Under the assumption that humans were not occupying the site during this time, we are now starting to look for archaeostratigraphic gaps coinciding with black layers and to separate different lithic and faunal assemblages accordingly. If our hypothesis is correct, then we will have found a new way to tackle the slippery question in archaeological research: the passage of time.